Extended Care Fees: Extended care will be available 7 - 8:45am and 4 -5pm at a cost of $20.00 per week per child. Any campers remaining after 5pm will be charged an additional late pick-up charge of $10. Click to MAKE A DONATION TOWARDS OUR "BIG YELLOW BUS" CAMPAIGN. All donations are Tax-Deductible. Thank you for your support of TSCA and may God bless you richly. Basketball season begins this weekend with our Tip-Off Tournament! Come out to cheer on your Crusaders! Tonight's game are scheduled for 4pm, 5:30 and 7pm with our Varsity Boys playing at 7pm. Tomorrow's games will be held at 9am, 10:30am, Noon and 1:30pm with Our Varsity Girls will play at 9am and Noon, Our Varsity Boys will also play (Time TBA). Admission fees for basketball games are $4/Adult, $2/Student or $10/Family. 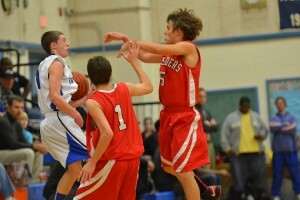 There are seasonal Basketball Passes being sold at the front office or starting this weekend at the gate. $75.00 for a family pass to get into all home games. MS games will not be charging entrance fee unless those games are followed by JV or Varsity games, then there will be a gate fee at the start of those games. Family Service Opportunity: We need parents to man the gate, please contact the front office if you would like to get your service hours to help at the gate during this basketball season. Game scores and schedule updates will be posted throughout the week. Be sure to click the link and watch the crusaders play! Basketball Season Passes Now Available! 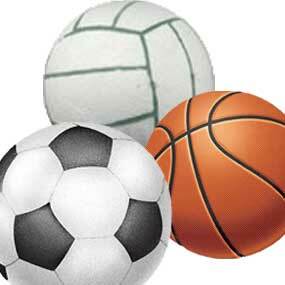 All of the TSCA sports teams have games this week. Please come out and support the TSCA athletes and teams. Go Crusaders! TSCA Varsity Soccer had a great preseason tourney at Elkton High on August 25th with 3 wins and 1 loss. Regular season starts this Thursday, August 30th at TCA. On Friday night February 10th, the Class of 2012 varsity basketball players and cheerleaders will be honored before their respective games. The Crusaders will be taking on their Mid-Atlantic Independent Conference foes from Aquinas Academy at 5:30 pm (girls) and 7:00 pm. (boys). In addition, after the game, this year’s Mr. and Miss TSCA will be announced. It should be an exciting night. Please make plans now to come and support our Crusaders. We do charge an entrance fee to cover the cost of the officials, they are $4 for adults and $2 for students. C.J. Dunston scored his 1,000th career point in the fourth quarter of a 56-45 victory against Harford Christian last night. Way to go C.J.! We would like to congratulate our Tri-State Christian Academy Fall Sports Teams for their outstanding play! We have some excellent players and coaches. This week has seen some of our best games. Volleyball: Our high school girls volleyball team defeated Tall Oaks Classical in a Mid-Atlantic Independent League play-off game. They advance to the MIL Semi at Tome vs Tome at 7:00pm on Thursday. The middle school volleyball team won their last game against DDS. Cross County: Our cross country teams competed in the MIL Championship meet on Tuesday, and our middle and high school girls finished in second place. Soccer: The boys middle school soccer team defeated The Christian Academy (Media, PA) 3-2 in a shoot-out on Monday. On Tuesday, our boys high school soccer team defeated Mt. Airy Christian 5-3 in the first round of the state playoffs. They advance to meet the #1 seed on Thursday at 3:30pm for a chance to go the MCST State Championship. The efforts of our student athletes prove that our philosophy of athletics works. We take our students and 'coach'em up' and let them do what they can do in their respective sports. A big 'Thank You' to Mr. Bill Smith who directs our sports program. His efforts have continued a wonderful tradition of highly competitive athletics all accomplished with a Christ-like spirit.